I shared this on my Instagram feed last week and had someone ask where she could purchase the art so she could print it out and maybe even use the Heidi Swapp Minc machine to turn it into a gold foil art print. (If you don't have one - let me just say it's pretty amazing)!! There's a mini Minc too!! Anyway - I thought I'd post it here on the blog as a free printable for anyone else who would love to print it out, frame it, color it, etc. Download the 6x6 file HERE. "I think when it comes to ideas + dreams, your relationship with "belief" is all that may be standing in the way. 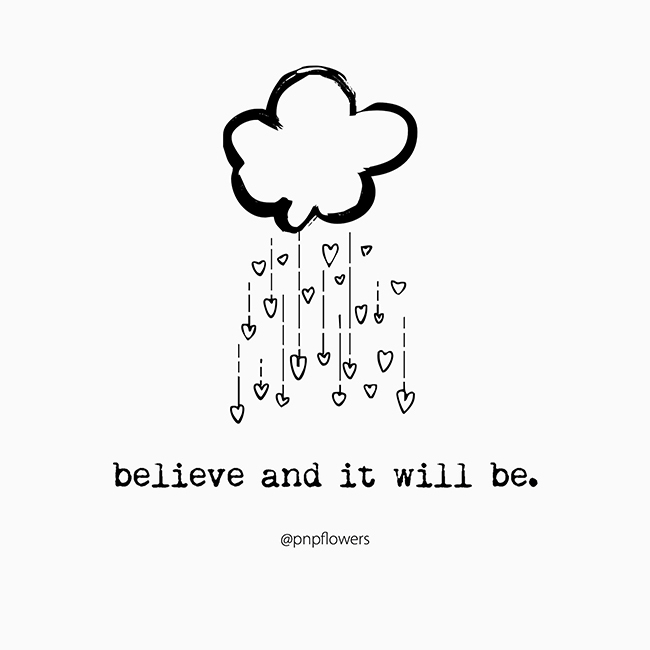 If you BELIEVE then it will be. (Belief fuels passion, hard work, determination + dedication). On the other hand, if you DOUBT...then "it"...(your idea, your dream) will disappear." I'm thinking I should start posting a free black and white printable like this on a regular basis. I may include it as a freebie for newsletter subscribers...so if you aren't subscribed yet SIGN UP HERE! Last Monday before the new school year starts. Okay Andrea!! I will! Thanks for your love and feedback and ongoing support! !